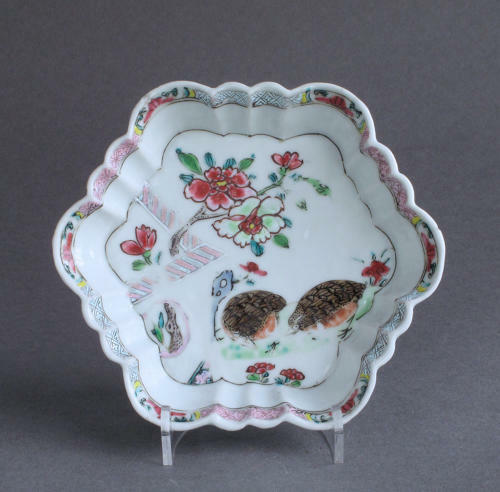 The decoration of two quail (shuang an) has the meaning of 'harmony'. Provenance: from the Jill McNeile collection and with her collection label. Condition. The teapot stand has one very small rim chip, and some wear to the enamels in the centre from use. Please examine our photographs.